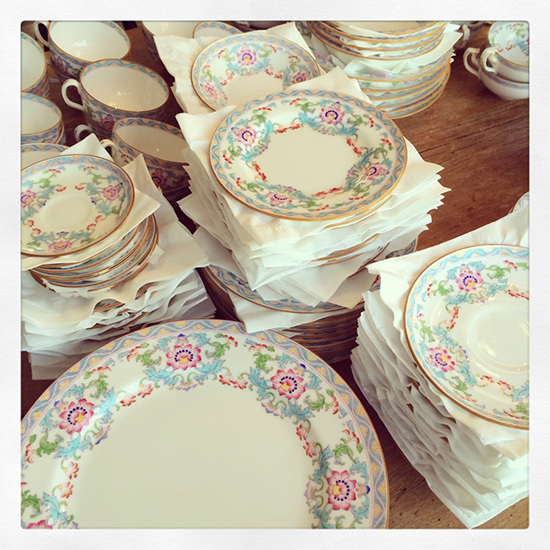 My jaw dropped when I saw this china that Olivia over at Lacquered Life will be using for her Easter table. And then I fell over when she said she scored it from her parents' basement. That is most certainly a score. If you like it as much as I do, you must read this blog post in which Olivia plans out her table around this china - gorgeous ideas that are getting me ready for spring entertaining. yes great find! I've seen this pattern often at estate sales -it must have been very popular back in the day -so pretty!